Compete 4 Causes! Inaugural Event A Success! 1545 Media produced a short video of the first annual 5K Run/Walk presented by Compete 4 Causes! at Cal State University, Long Beach on Saturday, March 24, 2012. This event geared toward the entire family brought together various people and organizations competing for their favorite cause or charity giving them a larger collective voice. The Walk/Run took on a carnival atmosphere with food trucks, live entertainment, a climbing wall and health and wellness demos. 1545 Media uploaded the HD video to YouTube. Watch the video on YouTube. 1545 Media provided the video broadcast for the Fidler Institute on Criminal Justice hosted by Loyola Law School at the Girardi Advocacy Center on April 20, 2012. Fidler Institute is dedicated to bringing together the different constituencies of the criminal justice system in order to address some of the most challenging issues of the day. This year, the issues ranged from Drones, GPS and High-Tech Surveillance to Pot Shops and the Future of Marijuana Prosecutions to Can Our Jails be Fixed? The day-long event culminated with the Fidler Institute Awards presented to honorees Janet Levine, Defense Counsel of the Year; Patrick R. Dixon, Prosecutor of the Year; and Honorable Jacqueline A. Conner, Judge of the Year. 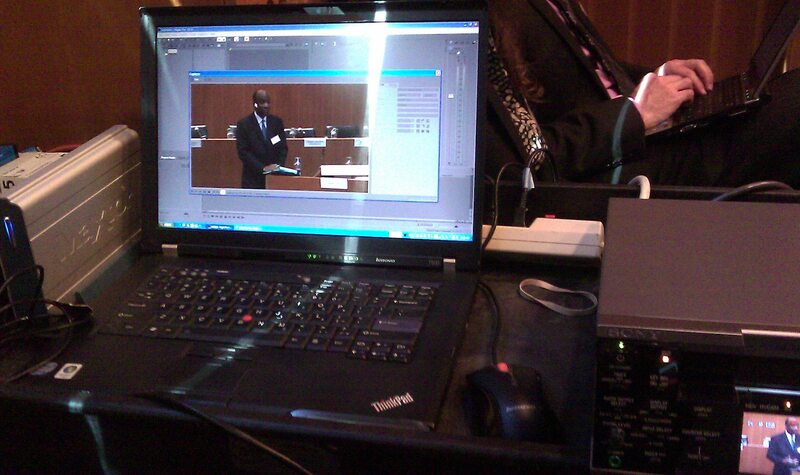 1545 Media uploaded the footage to the Loyola Law School YouTube Channel and provided video to PacTV Press Pool Service. 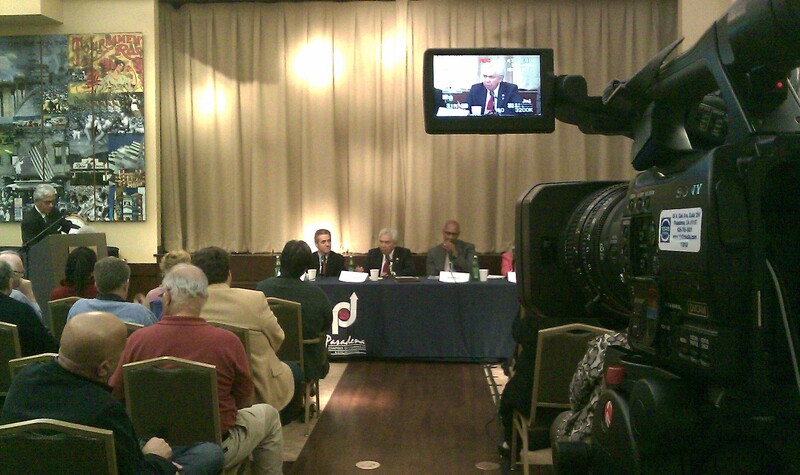 1545 Media provided video podcasting services for the 41st Assembly District Candidate Forum at the Pasadena Senior Center on Thursday, April 26, 2012, sponsored by the Chambers of Commerce of Pasadena, South Pasadena and the Pasadena-Foothills Association of Realtors. Each qualified candidate for District 41 in alphabetical order – Michael Cacciotti, Edward Colton, Chris Holden, Donna Lowe and Victoria Rusnak – presented their opening remarks followed by questions posed to them by moderator, George Falardeau, Chair of the Board of Directors of the Pasadena Chamber of Commerce. 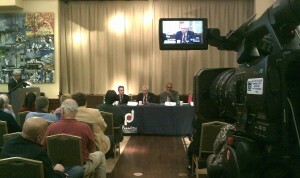 The public was invited to pose questions to the candidates as well, followed by each candidate’s closing remarks. The newly formed 41st Assembly District covers Altadena, Pasadena, South Pasadena, Sierra Madre, La Verne, San Dimas and parts of Monrovia and Upland. 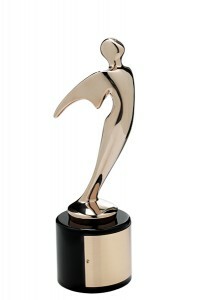 1545 Media is a bronze winner in both the Health & Fitness and Beauty & Cosmetics categories in the 33rd Annual Telly Awards for their work with Dermalogica, titled, “Healthy Skin Tips.” 1545 Media’s approach was to design a campaign that clearly puts their brand and product messaging in front of their customers. The Telly Awards, founded in 1979 is the premier award honoring outstanding local, regional, and cable TV commercials, the finest video and film productions and online content. With nearly 11,000 entries from all 50 states and numerous countries, winners represent the best work of the most respected advertising agencies, production companies, television stations, and corporate video departments in the world. “1545 Media’s accomplishment illustrates their creativity, skill, and dedication to their craft and serves as a testament to great film and video production,” said Linda Day, Executive Director of the Telly Awards. 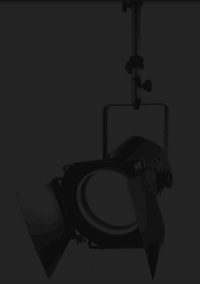 1545 Media is a Southern California based, full-service video production company started by industry professionals. Their focus is to partner with clients looking for design and creation of high quality visual media and branded content. They strive to clearly project the brand that is unique to each of its customers. “Our passion is helping companies evolve their brand through professional videos. We enjoy partnering with organizations who have a message they want to deliver,” states Justin Hornick, Owner of 1545 Media. 1545 Media has recently joined forces with Universal Surveillance Systems, LLC, a worldwide leader in Electronic Article Surveillance (EAS) systems, Closed Circuit Television (CCTV), integrated theft detection systems and solutions for retail applications. 1545 Media was commissioned to provide installation and repair services to Southern California department stores like the Sears/Kmart family of brands. 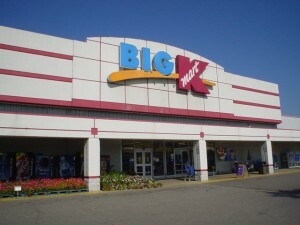 Our recent work includes a site visit to Kmart in Camarillo, CA to ensure their Closed Circuit Television system is fully operational in time for the 2011 Holiday Shopping Season.